With the boom in online sales over the last decade, more retailers are investing in setting up eCommerce sites. It can now be easier to purchase something from across the globe than across the street. By selling online UK companies can find new customers in overseas markets, build brand awareness and access new markets in a low-cost way. There are two main ways for you to sell your goods online; through your own website or by listing on an eMarketplace. An eMarketplace is an online eCommerce platform that allows multiple third parties to list their products for sale, but the transactions are processed by the marketplace operator; think Amazon or eBay. There are also lots of global eMarketplaces such as JD.com, Flipkart and Newegg that you may not be so familiar with but attract millions of online shoppers every day. Is it easy to sell online to overseas customers? Yes - many global eMarketplaces are open to UK businesses and offer easy access to list your goods on their platforms. Amazon gives companies of all sizes an international sales channel with no upfront costs. Amazon can store, pack and deliver sellers’ products to customers, as well as provide customer service and handle returns. Their safe payments infrastructure helps minimise risk for sellers. By using Amazon's easy-to-use functionality, sellers can use their UK account to list products in France as well as Germany, Italy and Spain. Sellers should invest in social media channels outside Amazon and check that product descriptions in the local language are optimised for search on platform and on other search engines. Flipkart is India's largest online marketplace, with over 65% market share in major categories such as electronics, kids and baby, homeware, and sports and fitness. UK brands must partner with an Indian aggregator, who acts at the registered seller and manages operations in India. UK brands require an Indian-based aggregator to sell on Flipkart. The aggregator is the Registered Seller on the marketplace, and handles product listings, customer support, shipping, returns, and all other aspects of selling on this channel on your behalf. DIT can advise on aggregators and make introductions. The best-performing categories on the platform include: tech accessories, beauty products, cosmetics, kids and baby, and toys. Books, heavy furniture and large appliances are not accepted. 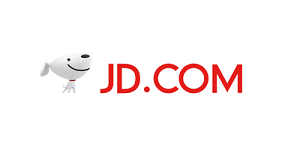 JD.com is the second largest business-to-consumer (B2C) ecommerce site in China, with 188 million active users. JD.com can integrate with a WeChat store, which can offer a powerful online combination for UK brands. A verified Wechat service account can have e-commerce functionality and incorporates various marketing tools. Before entering the Chinese Market, it is highly recommended you register your trademark with the Chinese Trademark Office. You will need to set aside a reasonable marketing budget per year in order to sell successfully in China, so this platform is generally more suitable for larger, more established companies. Linio is the largest online marketplace in Latin America, selling more than 6 million products across 60 categories through a fast-growing network of over 27,000 professional sellers and brands. It offers 7 different online and offline payment options, telephone support, free returns and fast delivery times. Linio is the biggest e-commerce platform in Latin America, giving sellers access to more than 300 million consumers in 8 countries. You can start uploading and selling your products in minutes by following a few easy steps. Linio's local customer service and operations teams can handle the rest, helping make it easier than ever to go global. Previous experience selling with global marketplaces, particularly in Latin America, is needed, along with a modern customer facing website. Currently food & drink products are not being accepted by Linio. 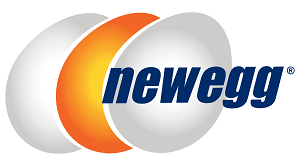 Newegg is the number one online marketplace for technology in the USA. Its fulfilment solutions allow sellers to put consignment stock in the USA for Newegg to pick, pack and dispatch. Newegg provides a great opportunity to trade in the USA with fewer barriers. One key feature of Newegg is that it acts as the "merchant of record", therefore you will have no liability regarding US sales tax. Don't forget to use American English where appropriate in your product listings. Rakuten is the world's fourth largest online marketplace and the leading platform in Japan. It helps UK companies develop their brand presence and offers them a choice of four store management plans, as well as the option to sell directly to Japanese consumers. 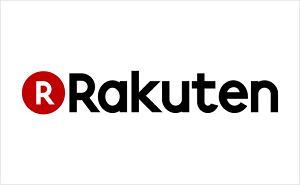 Sellers will need the services of a third party company to provide the legal and financial entity in Japan necessary to trade on Rakuten. Sellers must arrange with their chosen service provider to receive payment in Japanese Yen and convert to Sterling. Rakuten works with a group of partner service providers such as Brangista, Café 24, EC Robo, I-Order and TransCosmos. These companies can also provide final mile delivery and returns services. Engaging a third party service provider will incur additional costs. As a minimum present experience in e-commerce at domestic level is required. The Royal Mail Tmall store sells British brands and products on Tmall, the largest marketplace in China. Royal Mail buys your products at an agreed price in Sterling, which covers logistics, duties, marketplace commission fees, translations and product listings, customer services and more. There is an automated English language sign-up page. An easy, low-cost and rapid way for sellers to establish a presence on an online marketplace in China. Your export plan must include a budget to create a social media presence on digital channels outside Tmall Global. Your brand is required to be trademark registered in the UK. Before entering the Chinese Market, it is highly recommended that you register your trademark with the Chinese Trademark Office. Identify and apply to sell with marketplaces to reach international consumers with help from the Department for International Trade's 'Selling Online Overseas' tool. Learn the latest tools and platforms in international digital marketing and ecommerce by getting in touch with a digital marketing expert.